Subject: Antique print, untitled. 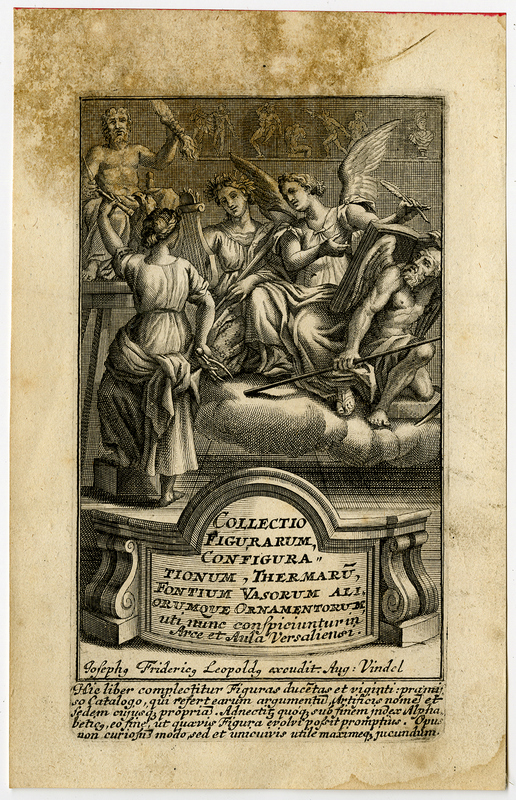 An allegorical group of an angel (representing Art) and several figures from mythology. On a shelf in the rear are several statues, alluding to the contents of the book. (Title page to the described work). Condition: Very good, given age. Stain in left top of print and in margins. Left edge a little uneven from binding. General age-related toning and/or occasional minor defects from handling. Please study scan carefully. Size (in cm): The overall size is ca. 12.4 x 19.5 cm. The image size is ca. 9.1 x 16.3 cm. Size (in inch): The overall size is ca. 4.9 x 7.7 inch. The image size is ca. 3.6 x 6.4 inch.